The Port Melbourne Swallow & Ariell Factory occupies the majority of the block bound by Stokes, Rouse, Princes and Beach Streets. The Swallow & Ariell Steam Biscuit Manufactory was first established by Thos. Swallow in 1854 (Thos. Ariell became a partner later that year, and prior to 1858, occupied rented premises opposite the present building. The complex was built in stages with the earliest building being the three-storey section on the corner of Stokes and Rouse which was built in 1858. This building originally was constructed of face brick with rendered dressings. It was later totally rendered and the ground floor fenestration removed in recent years to accommodate a freezing room in that area. The factory was extended in stages along both Stokes and Rouse Streets in two-storey additions in the 1870s and 80s. As part of this extension a malthouse in Stokes Street was acquired from John Burley Morton in 1876 and refaced to match the existing section. The Rouse Street elevation was completed with a three-storey building at the corner of Princes Street to match the original building in scale. 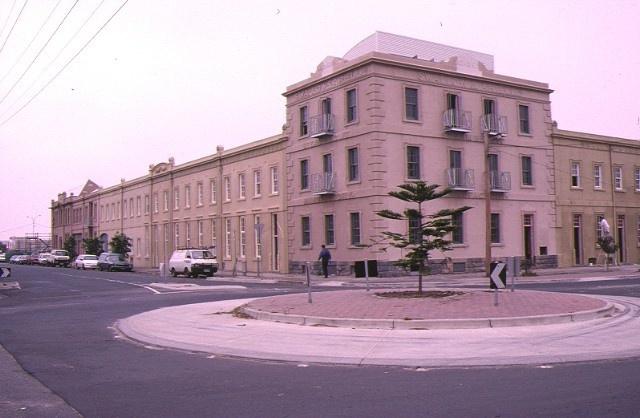 The second major phase of the building was at the corner of Stokes Street and Beach Street early in the 20th century. A building designed by Gordon McRae was constructed in Stokes Street in 1911 and the building at the corner of Beach Street was designed by Bates Peebles and Smart in c 1922. The space between these two was filled by a loading bay which appears to date from the 1940s. Internally the ground floor has been totally modernised. 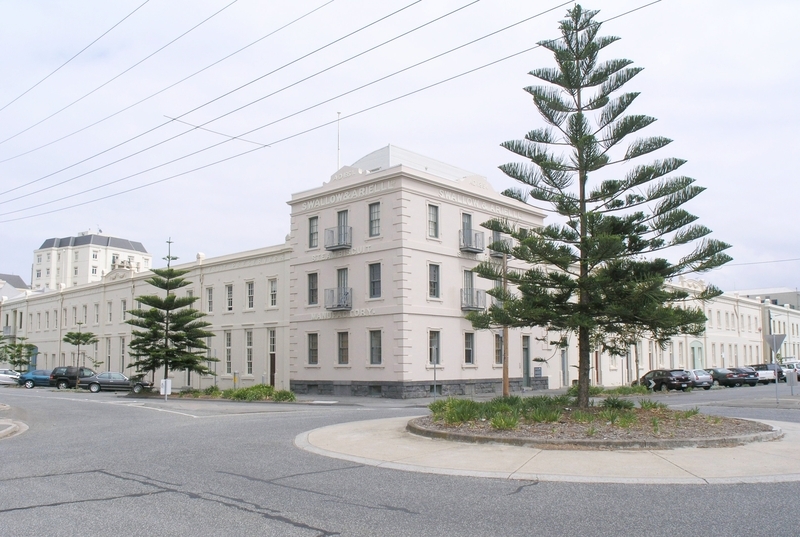 The Swallow & Ariell complex is of historical importance as the first industrial establishment of its type inVictoria and displays a continuum of architectural styles between the 1850s and the early 20th century. The scale of the structures dominates its surrounds and presents a unified facade around the block. Port Melbourne, is of historical significance as the oldest and largest biscuit manufacturing complex in Victoria until its absorption by Arnott's Biscuits in 1964. The factory was established in 1854 and by 1883 it was described at the royal commission into the tariff as the fifth largest factory in the world. 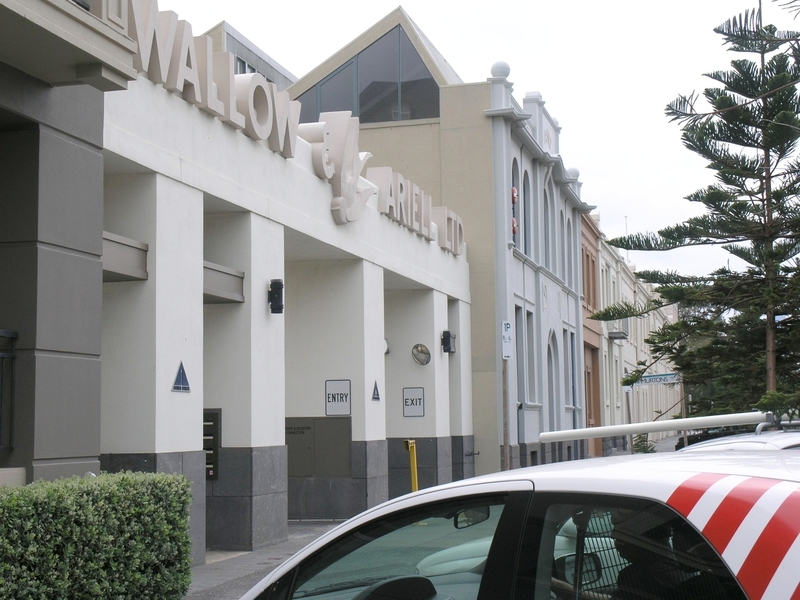 The facades of the factory, with their extensive signage and use of Swallow symbols are an important example of corporate advertising which describes the processes and products of Swallow & Ariell from the 1850s to the 1950s. The foundations and supporting structure of the reel oven, used exclusively in the production of Uneeda biscuits (situated at the rear of building 5), are important evidence of the production processes at Swallow & Ariell. Former Swallow & Ariel Factory, Rouse, Stokes and Beach Streets, Port Melbourne. 1. 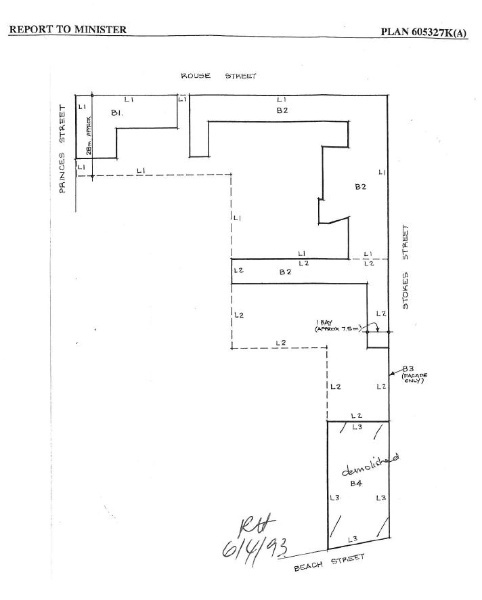 The whole of the buildings marked B1, B2 and B4 and the facade only of building marked B3 on Plan 605327K(A), endorsed by the Chairperson, Historic Buildings Council and held by the Director, Historic Buildings Council.